Home / News / Mahesh Babu not producing my film! Mahesh Babu not producing my film! 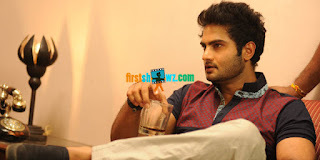 Mahesh Babu is not producing my film, says actor Sudheer Babu, after gossipmongers are abuzz that the Super Star will be producing a film in the combo of Sudheer Babu and Srinu Vytla. "News abt mahesh producing a film in the direction of srinu vaitla with me is false.I havent signed any project in telugu after #BMR. Sry guys eventhough i wish it was true no such discussions happened atall with srinu garu.will announce my next project as soon as i sign," tweeted Sudheer Babu. Sudheer Babu who has recently scored a hit with Bhale Manchi Roju, and he is currently participating in the CCL playing for Telugu Warriors team. Mahesh Babu meanwhile is busy with the shooting schedules of his forthcoming release Brahmotsavam directed by Srikanth Addala.